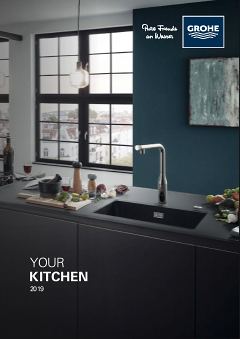 With its modern good looks the GROHE Zedra tap makes an instant style statement in any kitchen and is also packed with maximum functionality. Its pull-down spout gives you great freedom of movement which means you can fill the biggest pots and effortlessly clean the corners of the basin. When it comes to hygiene, the GROHE Zedra also scores top marks – made of non-rusting and scratch resistant stainless steel, its smooth surface is super easy to clean. With its flexible features, elegant look and outstanding hygienic properties, the GROHE Zedra is a valuable addition to your kitchen. The body of this tap is made of scratch resistant stainless steel, making it particularly hygienic and easy to clean thanks to its smooth surface. A quality product – through and through.